Kanye West is often given over to passionate discourse, and nowhere are his thoughts more crystallized - and shout-y - than on Twitter. Ever since West first issued his inaugural 140 character comment, @kanyewest has become one of the most controversial, talked about and followed accounts on the social media site. But if we had to describe Ye's relationship with Twitter, we'd have to go with "complicated, and yet magical." The music star's latest Twitter issue, this "fight" with Jimmy Kimmel, is just the #tipoftheiceberg. It is distasteful to cut people off as a general rule. What's the point of dressing tastefully if I'm going to act the complete opposite? ... I've hurt, I've bled, I've learned. I only want to do good… I want to help as many people as I can. I want to help starting with the music and ending with the smile. It starts with this... I'm sorry Taylor. From November 2010: I don’t mess with Matt Lauer or the Today Show and that’s a very nice way for me to put it! From September 16, 2010: You basically can say anything to someone on an email or text as long as you put LOL at the end. From October 16, 2010: I hate when I’m on a flight and I wake up with a water bottle next to me like oh great now I gotta be responsible for this water bottle. But as the years wore on, West's Twitter account also got him into some trouble - such as when he tweeted about abortions. 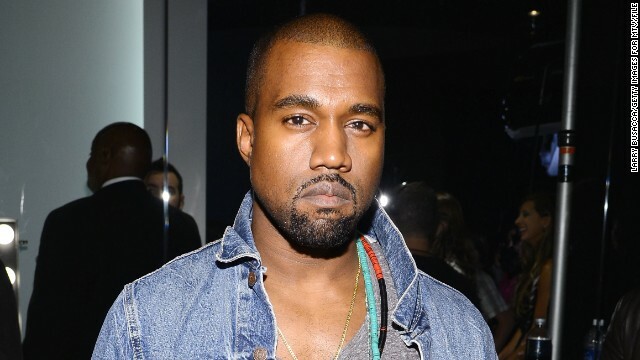 Sometimes he was effusive - like when he listed a bunch of things he didn't like, including "big a** striped scarves" and "khaki trench coats with jeans and off-brand workout sneakers," or outlined his plan to create a company called DONDA in a series of 80+ tweets. In October 2012, West decided to leave Twitter altogether, and took his exclamation marks, ellipses and persistent capitalization with him. When he returned, though - and we all knew he wouldn't be gone forever - he seemed more elusive than before, like when he just tweeted a series of words in January 2013, or deleted all of his tweets in May 2013 and left a single message, "June Eighteen." We do not want women following your path .... we want men too like us not hate us because of that type that exists. Morning 53 Sh...t---retrieved at 7am. I agree when your not existing in a relationship like that one....its time too find another one. No, Kanye, do me! Then slap me down like Chris Brown and do me again!! I saw h¡m on E-News and he was rambling on like a deranged man. I didn't understand what he was trying to get across. He wasn't making any sense. Let's get this guy mad in public again.